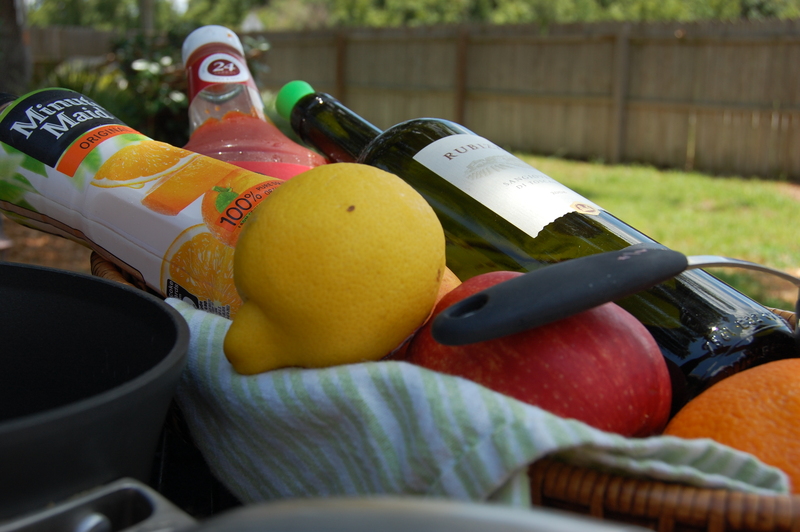 Sangria all around…Sangria BBQ, Blueberry Basil Sangria…..Hello Summer!!!!!!!!!!!! Today I made Sangria BBQ Sauce, perfect to cook on the grill (if you have room to spare, or a fancy grill with a burner attached). We will use this sauce on BBQ Chicken, Pork Tenderlions, Flat Breads, Pulled Pork, Ribs- anything that the Bull’s Eye BBQ might have made it on. 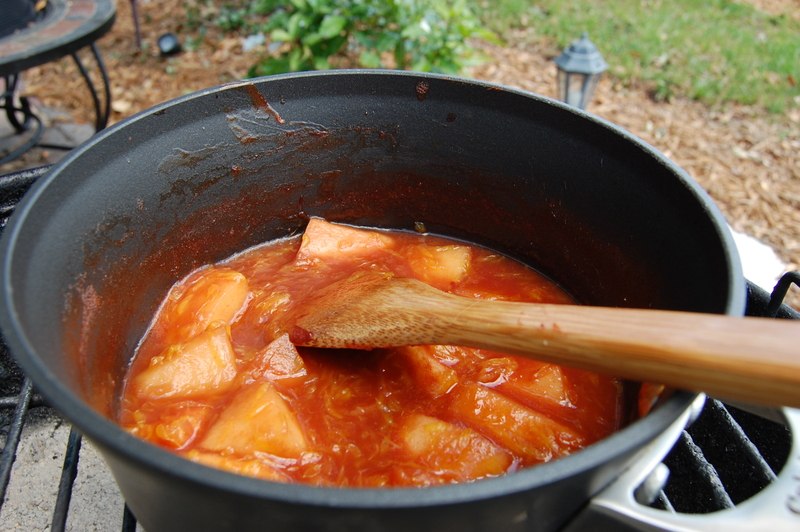 Put all in a pot and slowly simmer until fruit is tender, broken down. 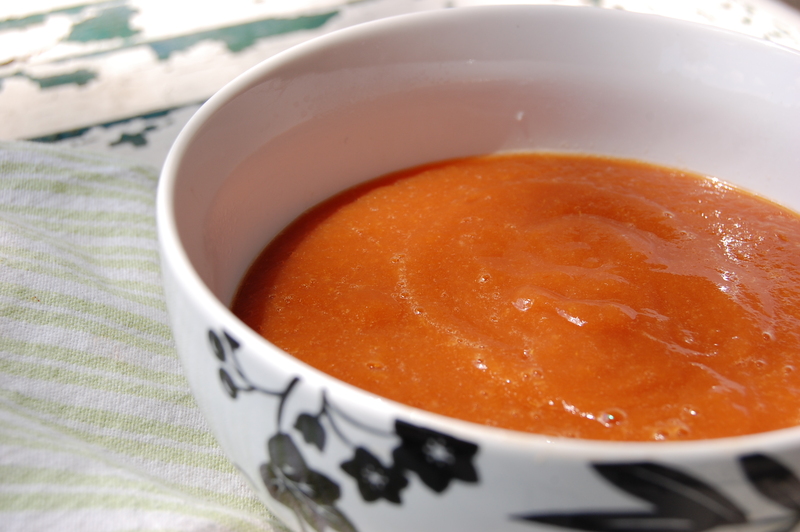 Depending on the legnth of time you have, the apples will break down by themselves, or you can puree the sauce in a blender. I’ll save the zests and make a gremolata or add them to a light salad …no way they will be around for long! Happy Memorial Day and God Bless our Soldiers! 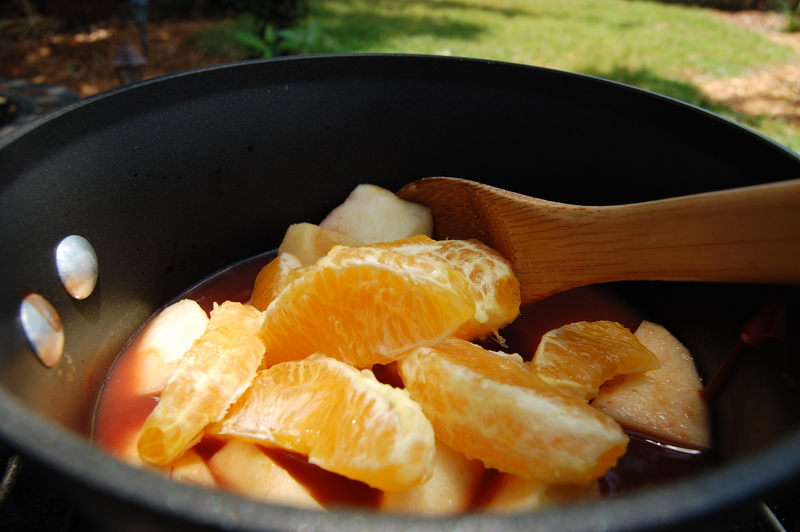 This entry was posted in Recipes and tagged BBQ Sauce, Memorial Day, Sangria. Bookmark the permalink.